Spring has officially started (for those down under) and I can feel a sense in the air of new beginnings. I'm not usually one to follow the seasons but after feeling a bit low recently, seeing nature come to life gives me a deep sense of joy. To start this new season I've created an artwork that I'd love to share with you - a floral inspired mandala with a yellow watercolour background. Below you'll find the link to download this free artwork, which you can print out. A bit like a new years resolution, the idea is to write your spring intention in the centre of the mandala. Then display the artwork somewhere you'll see it everyday. I've recently started to recognised the power of writing down my intentions. You don't have to consciously look at it everyday but I believe that by having it written down your sub-conscious will create changes to make it your reality. 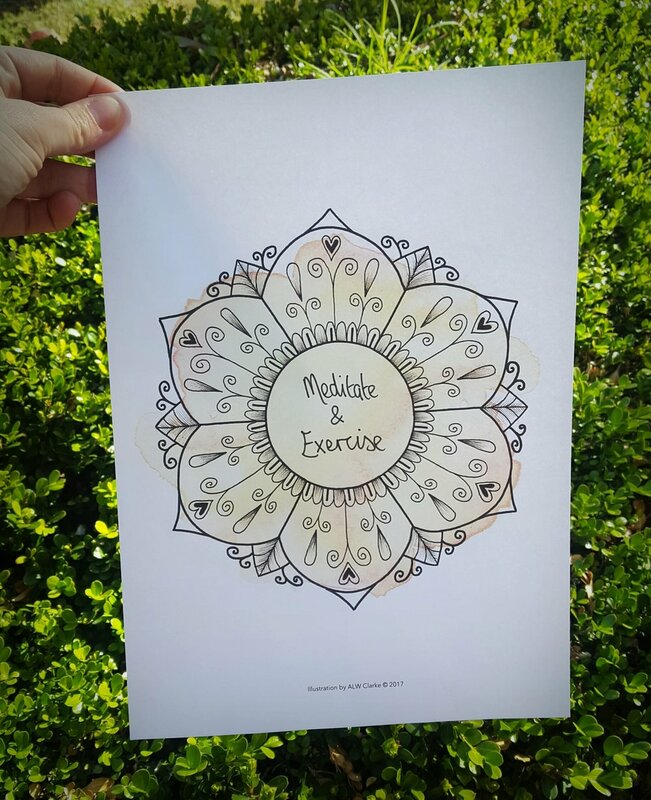 My spring intentions - meditate & exercise. What will your spring intention be? Let me know in the comments.